Now you can play the arcade classics the way they were intended. The Nintendo Switch is in the unique position that makes it an extremely flexible console, especially when folks make awesome peripherals that allow it to accomplish more than it already is. Take the new Flip Grip, for example. It's a new product that recently reached its Kickstarter funding goal, meant to offer a way for players to flip the Switch while still attached to the Joy-Con controllers and play games like Galaga or Punch-Out!! the way they're meant to be played, vertically. It's a simple design, but very cool functionality that's well worth making an investment in, as you can see it in action below. It goes quite well with the neon Joy-Con controllers too, and the black/gray coloring matches the Switch console alrady quite well. 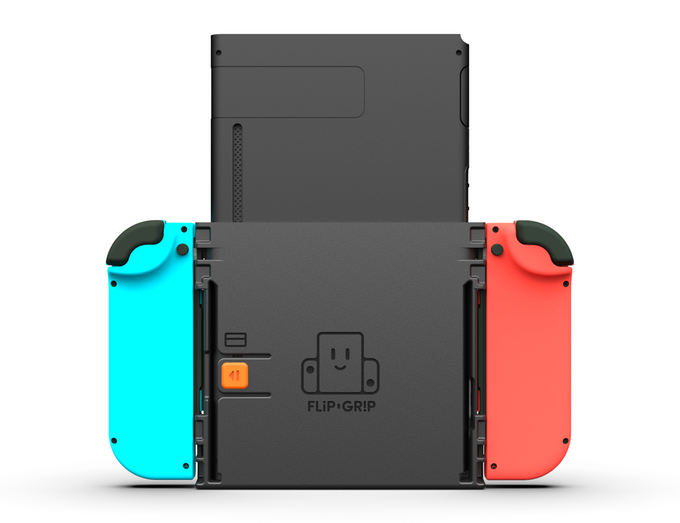 The Switch wasn't designed for this kind of use, but the Flip Grip makes it possible. You can pledge $12 for one if you're interested in seeing what it can do for you, and the product looks to be shipping out by this November. It ended up raising $83,280 already at the time of this writing, with 14 more days to go and 4,909 backers -- that's pretty impressive.